Single, Double and Triple Homecoming Mums. 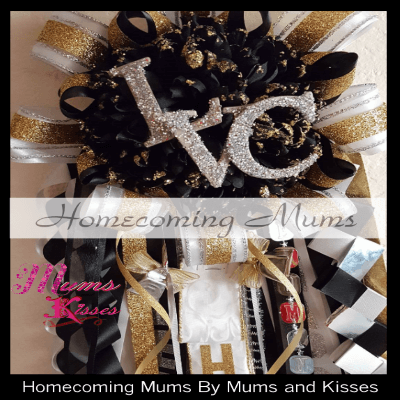 There are 4 options to Make a Homecoming Mum from scratch. These are the “Mack Daddy” of Mums, meaning to get every little detail, this is what you want. We do offer designer mums that are customizable and less expensive, but if you’re looking to do it yourself, this is the way to go. 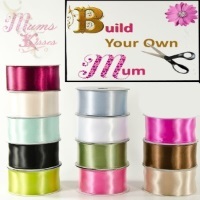 Using our easy selection tools, make your mum detail selections. Just design, pay and we ship! That’s it! We don’t do complicated order forms you have to print out and email. You don’t have to remember to pay us twice for deposit and remainder. Don’t know what a trinket is? No problem we actually show you in photos what you’re getting every step of the way. And you get to choose down to the fancy braids we have! No more waiting and hoping your mum turns out okay. Shipping is always free over $50.00 And if you get stuck or need help, we’re the only mum shop online that has live chat to help you along the way! We’ve got you covered from the design to shipping insurance on your entire purchase! On a budget? No worries, pay what you want as you select each item. Mums are literally all we do so that we can concentrate on you. We’ve made mums for celebrities, and players on the Dallas Cowboys. We do mums all year long! 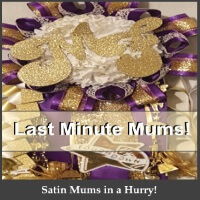 Baby shower mums, graduation mums, even class reunion mums. We literally have a LOT of practice! Worried about ordering? We can help. See the following articles we’ve written to help you if you’re worried about ordering. If you still need assistance you can get a hold of us in 3 different ways. Live Chat – See the bottom right of the screen for our online live help and chat with our Mum Helpers. 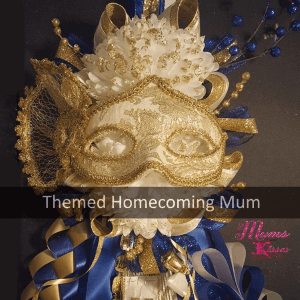 Thank you for choosing Mums and Kisses to make a homecoming mum for you. We are truly honored.